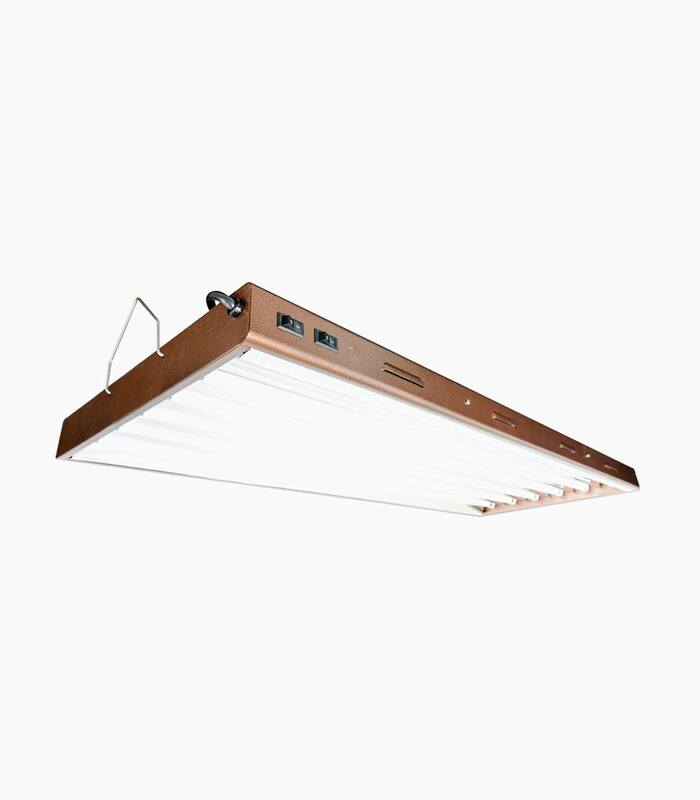 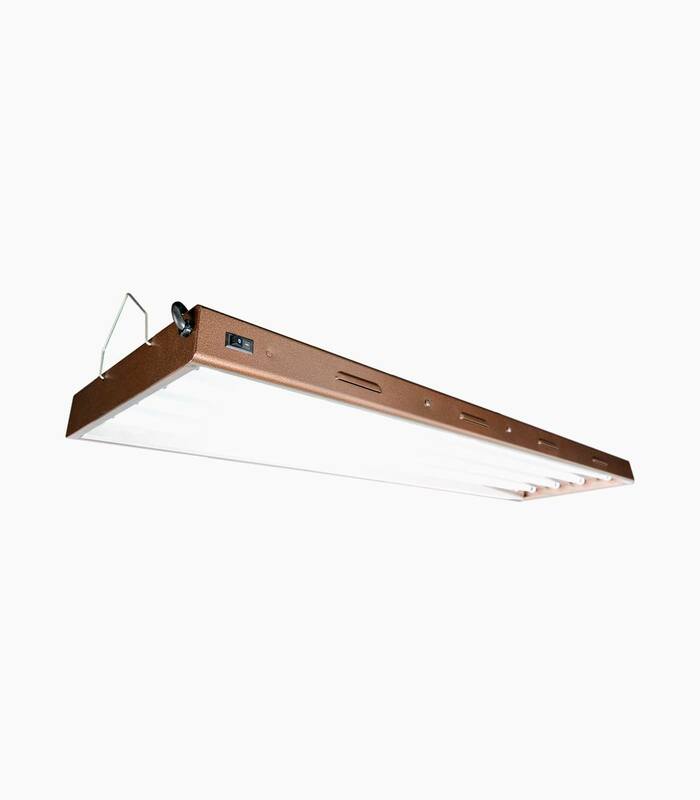 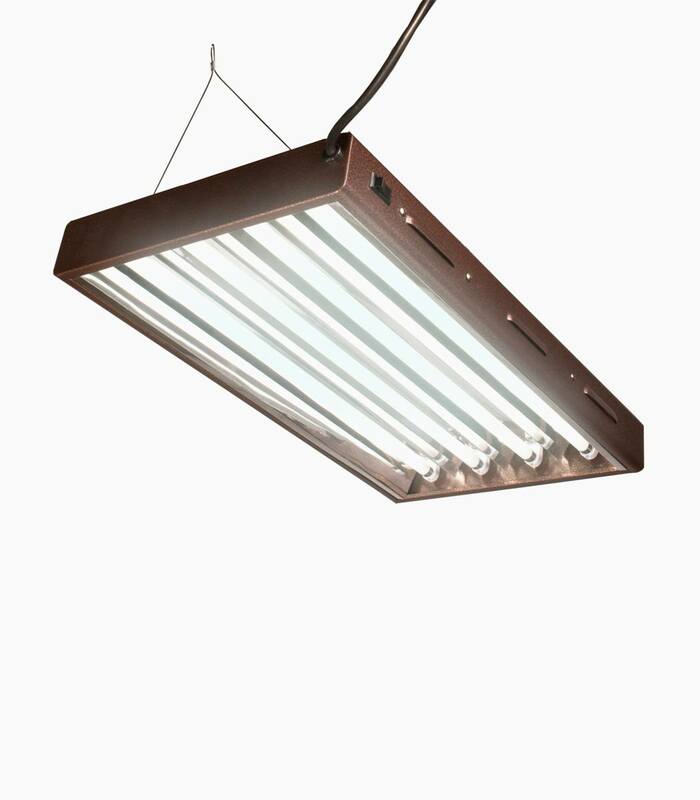 This 125W compact fluorescent grow light with warm (2700K) color spectrum is ideal for flowering. It will provide your plants with lots of usable light for best growth and yield. 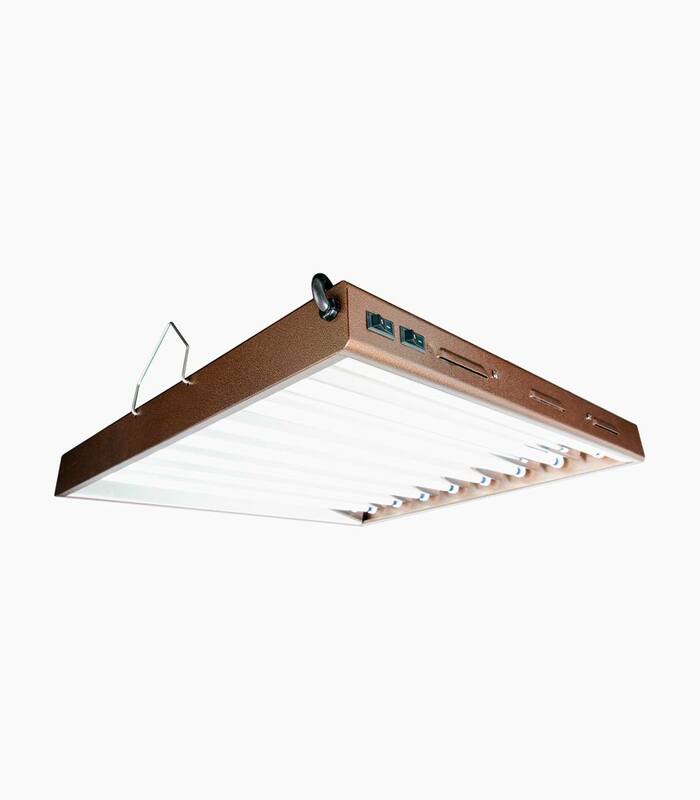 It emits very little heat, allowing you to place it close to your plants for maximum intensity. 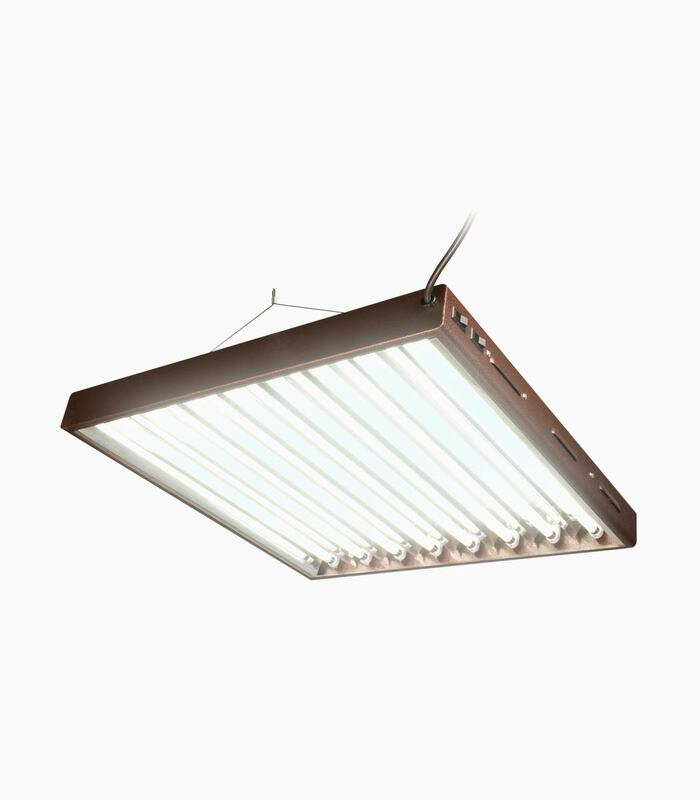 Because this lamp is self-ballasted, you simply screw it into your CFL reflector, giving you convenience and flexibility. 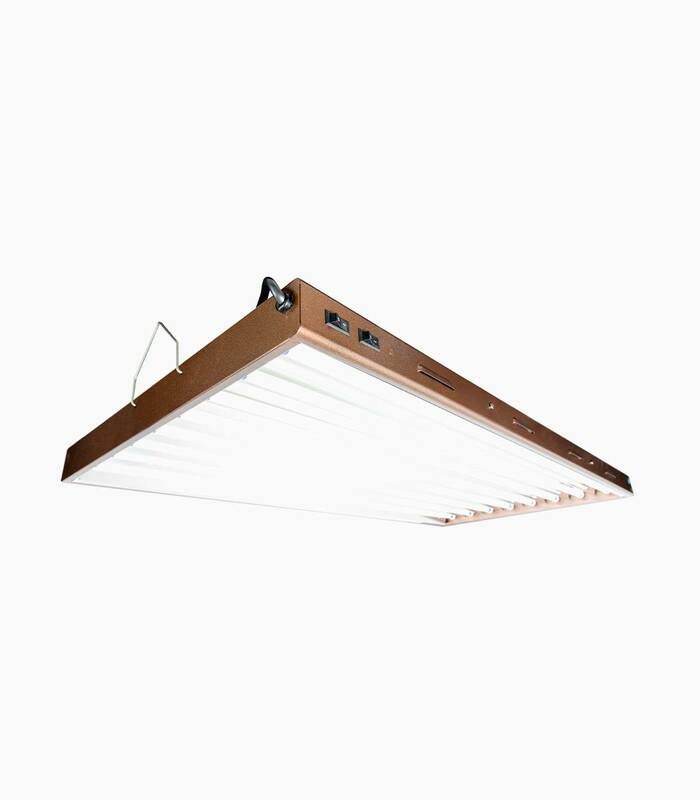 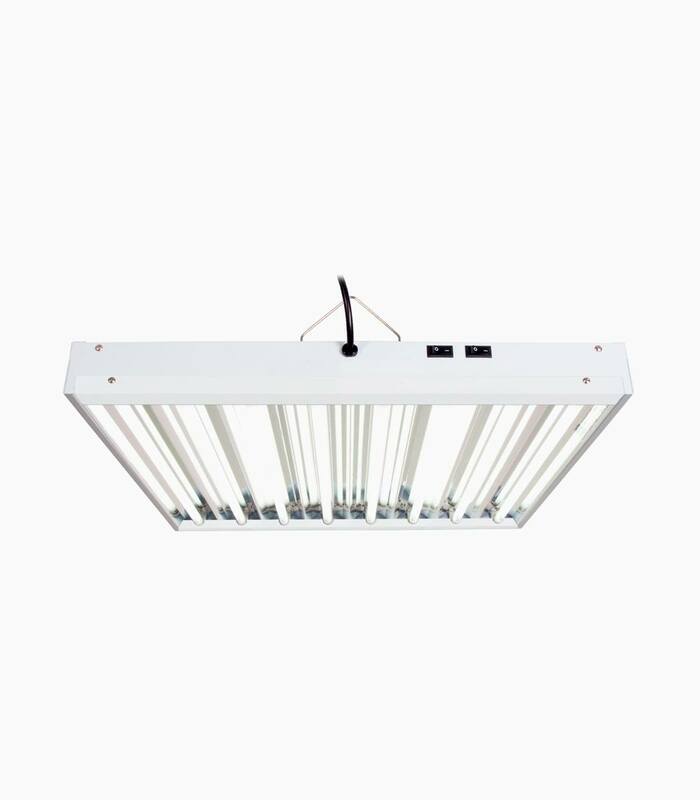 This 200W compact fluorescent grow light with cool (6500K) color spectrum is ideal for propagation, side lighting, and vegetative growth. 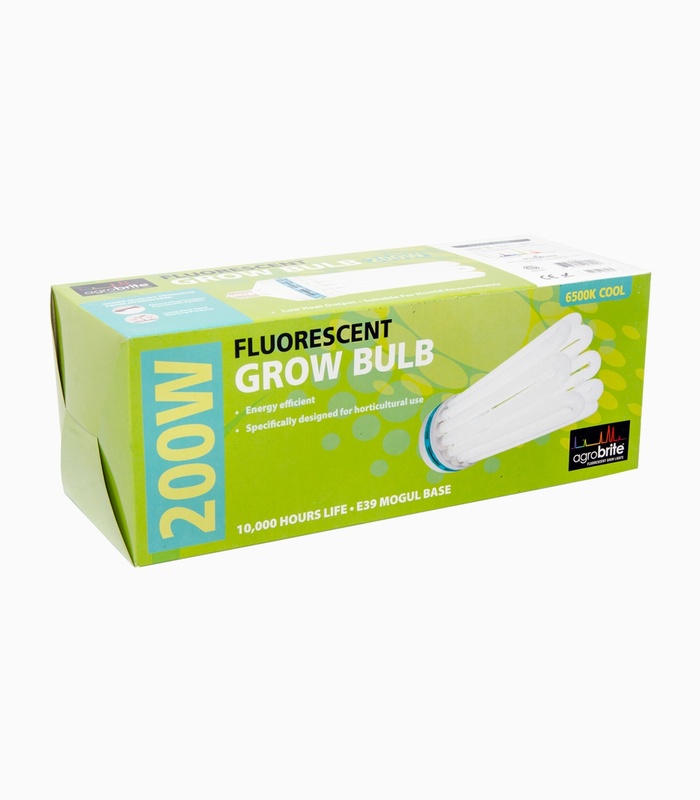 It will provide your plants with lots of usable light for best growth and yield. 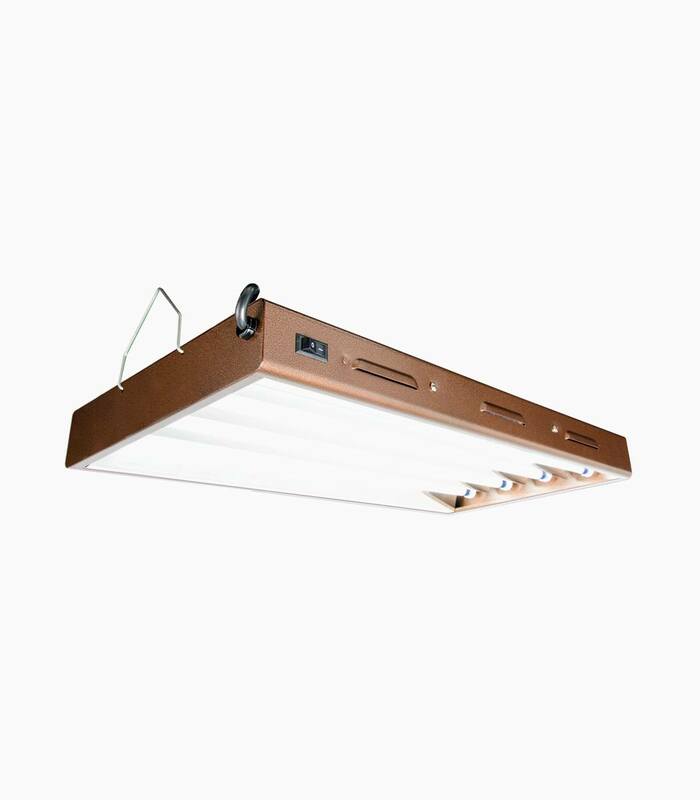 It emits very little heat, allowing you to place it close to your plants for maximum intensity. 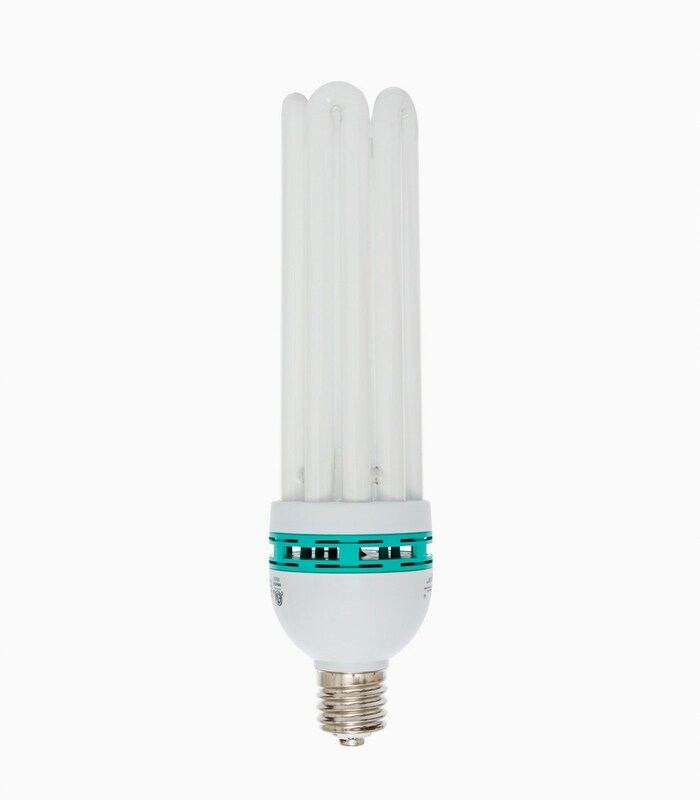 Because this lamp is self-ballasted, you simply screw it into your CFL reflector, giving you convenience and flexibility. 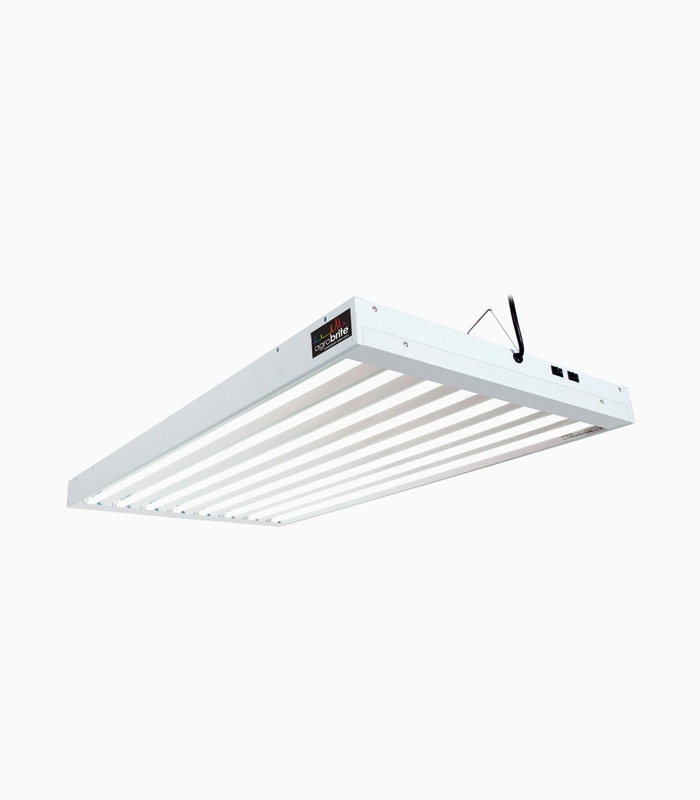 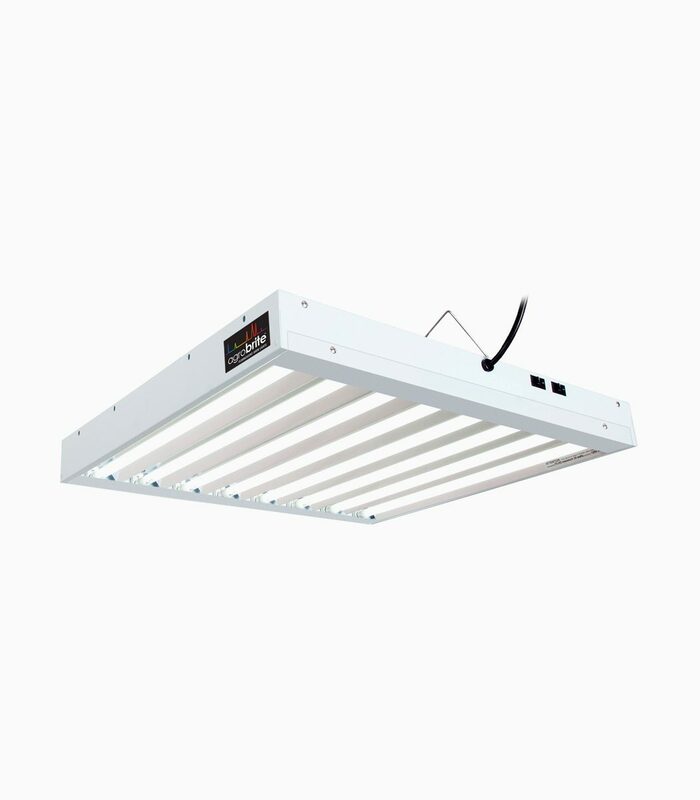 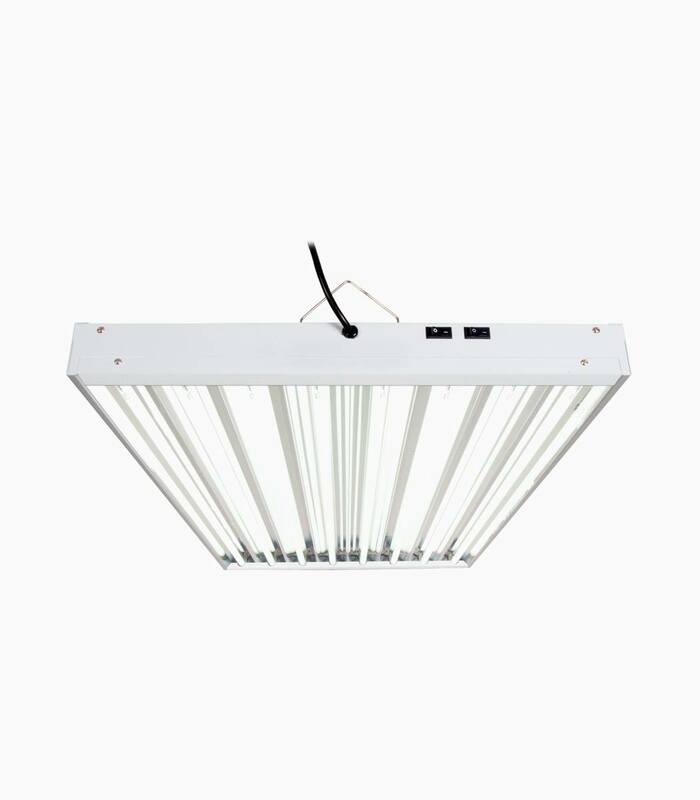 This 125W dual spectrum compact fluorescent grow light is ideal for propagation, side lighting, and vegetative maintenance of mother plants, as well as for flowering. 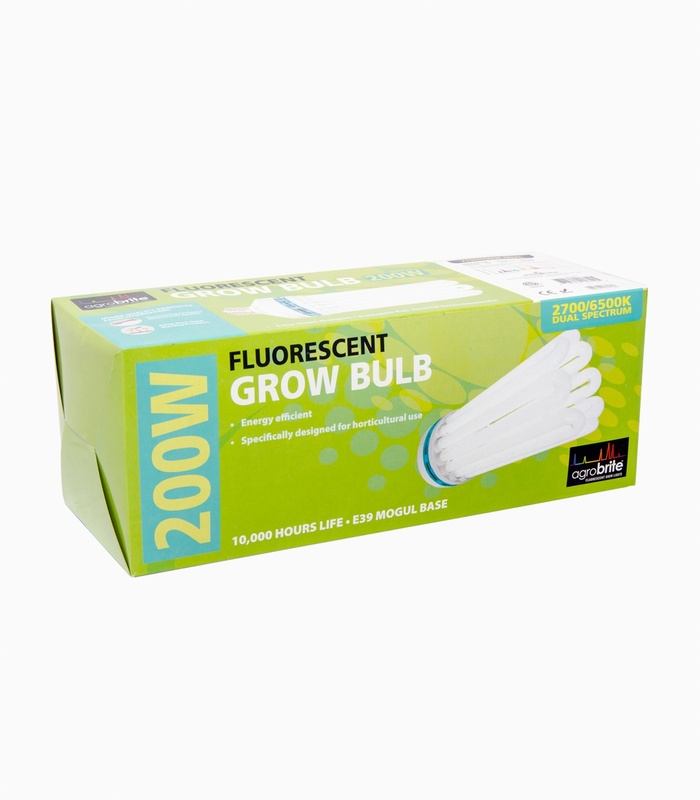 It will provide your plants with lots of usable light for best growth and yield. 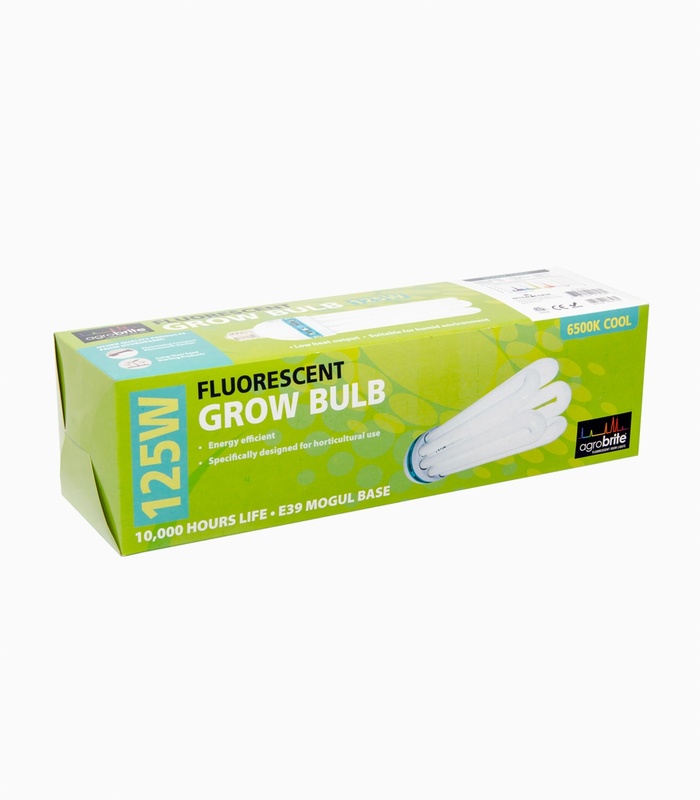 It emits very little heat, allowing you to place it close to your plants for maximum intensity. Because this lamp is self-ballasted, you simply screw it into your CFL reflector, giving you convenience and flexibility. 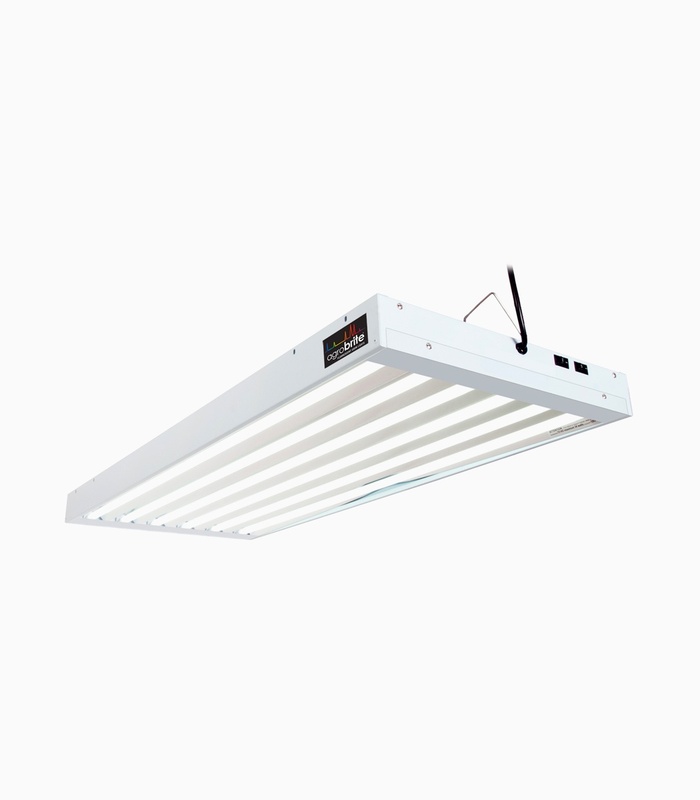 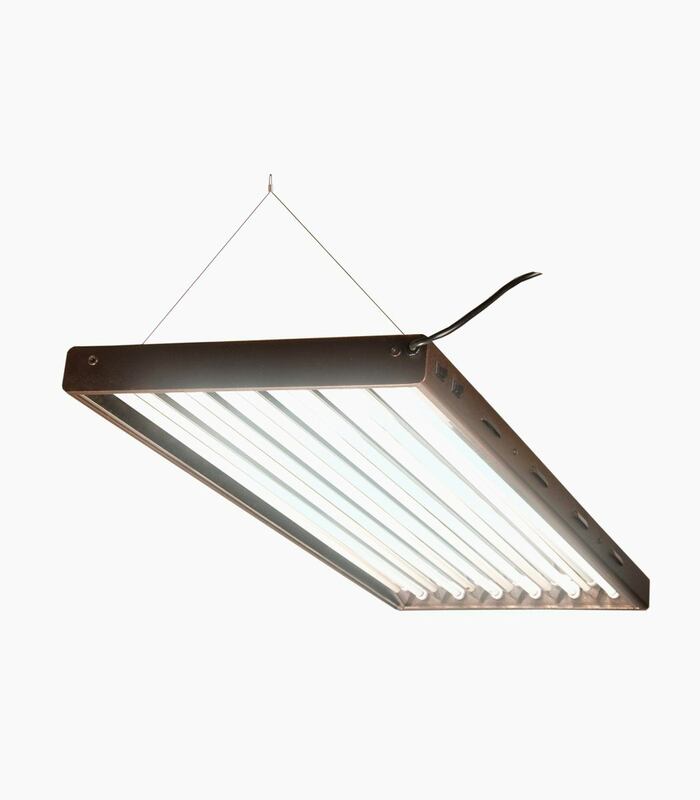 This 200W dual spectrum compact fluorescent grow light is ideal for propagation, side lighting, and vegetative maintenance of mother plants, as well as for flowering. 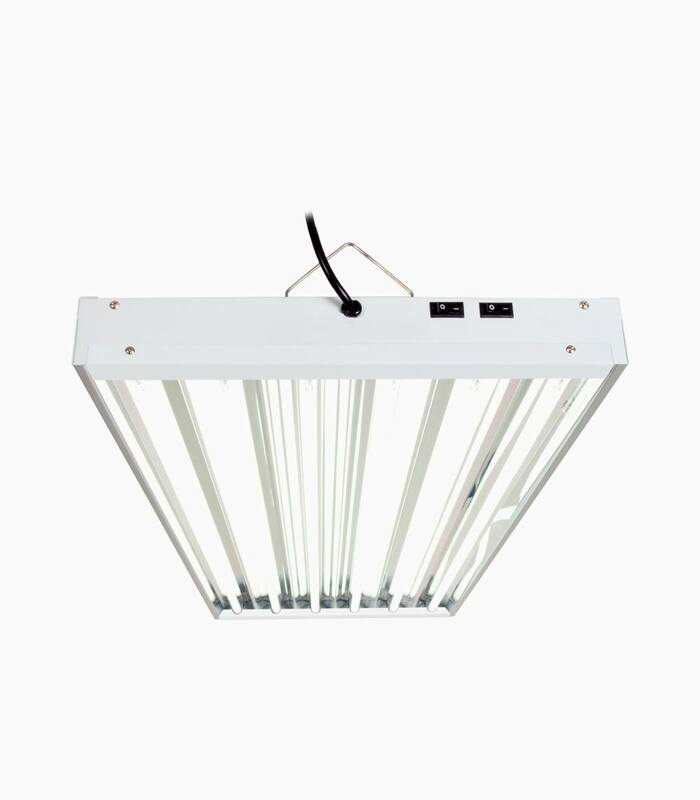 It will provide your plants with lots of usable light for best growth and yield. 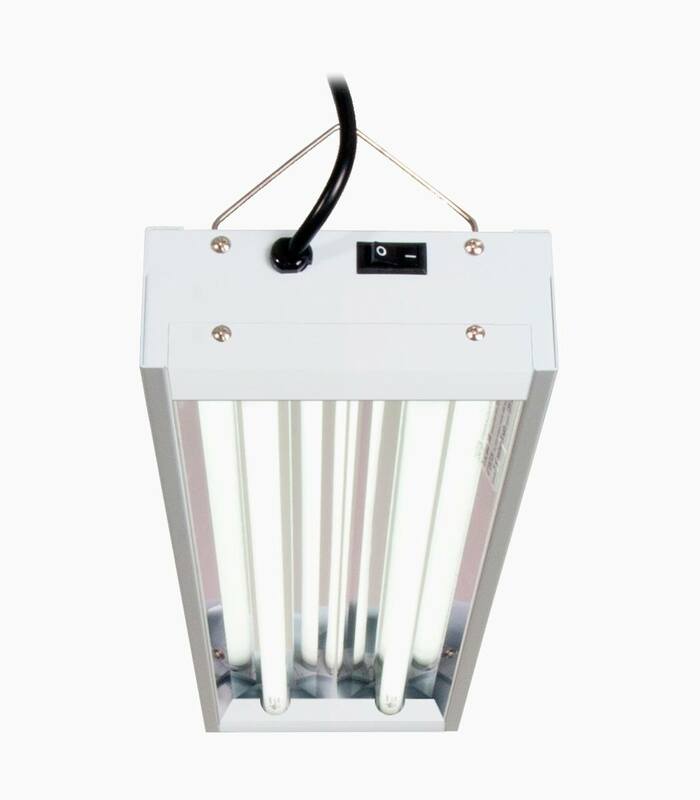 It emits very little heat, allowing you to place it close to your plants for maximum intensity. 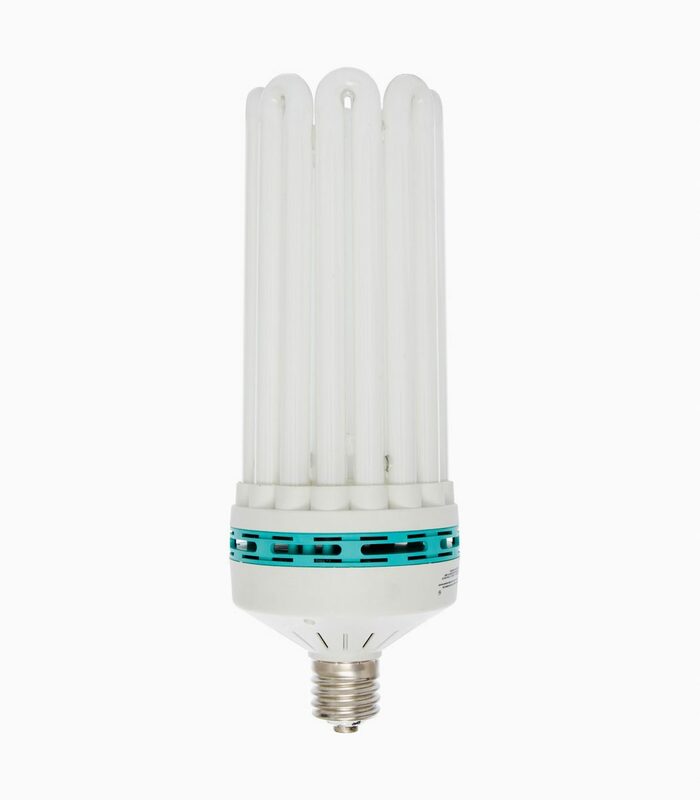 Because this lamp is self-ballasted, you simply screw it into your CFL reflector, giving you convenience and flexibility. 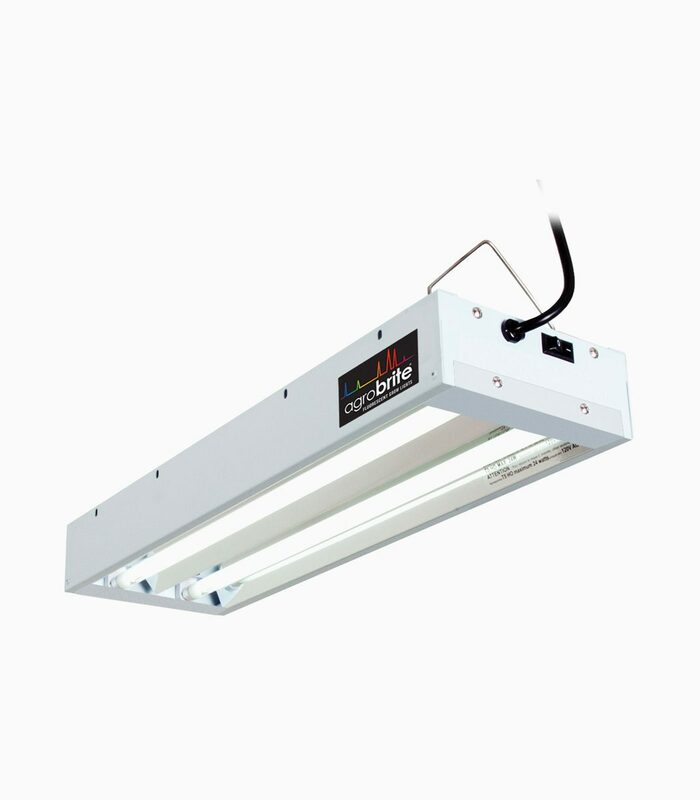 Agrobrite Designer T5 System delivers performance, flexibility, and high lumen output in any growing environment. 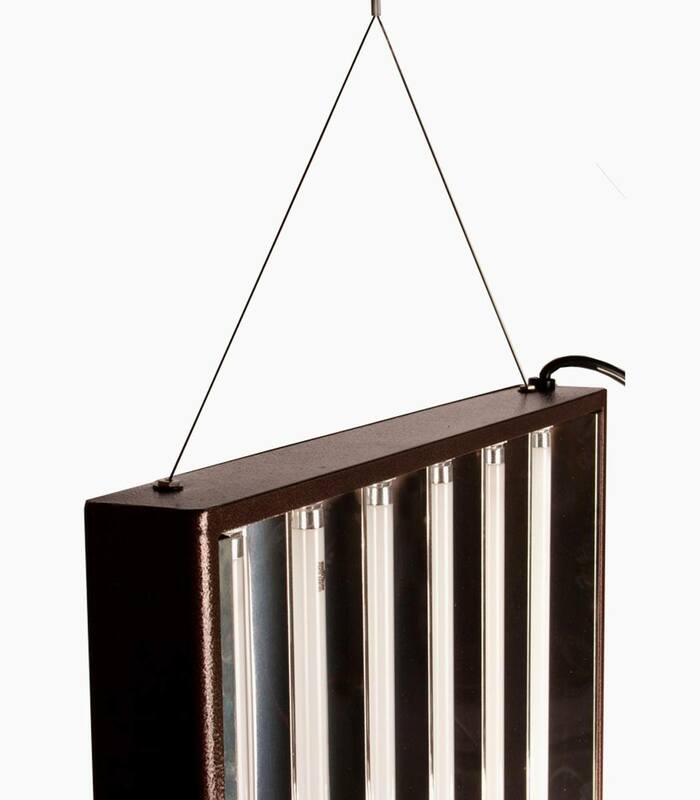 These daisy-chainable systems enable you to choose multiple hanging configurations to meet your garden's design. 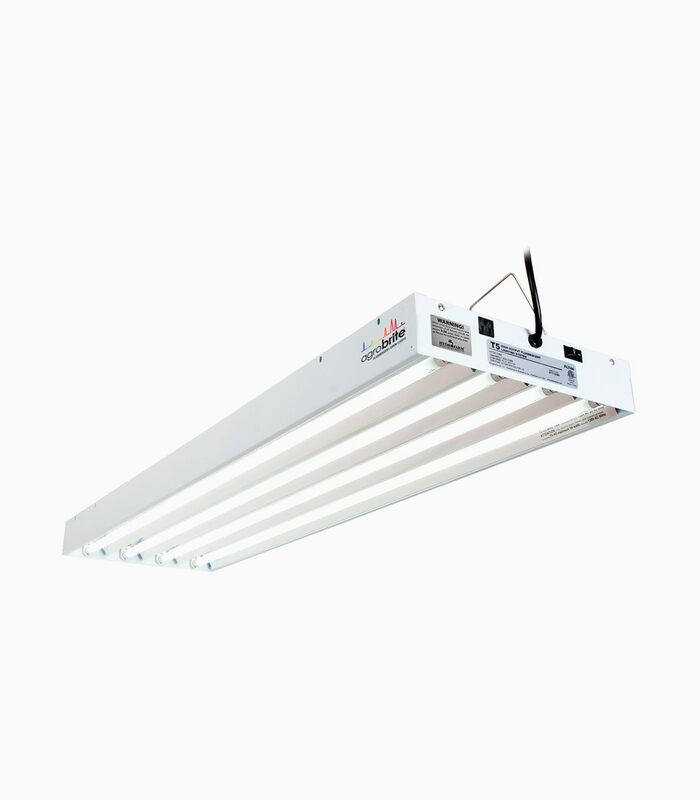 They combine German specular aluminum with energy-efficient/high-output T5 tubes and put out double the light energy of normal fluorescent systems. 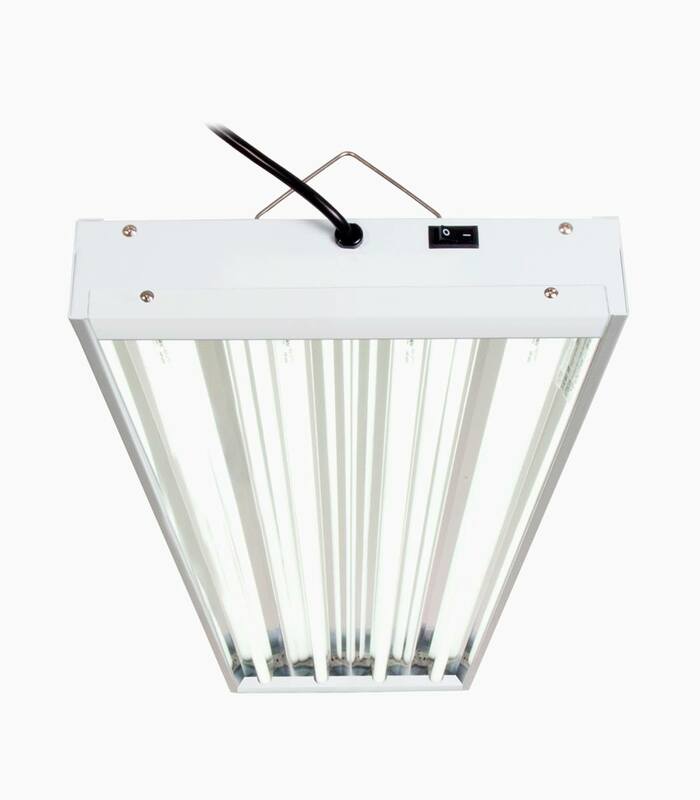 Agrobrite's newest T5 system delivers performance, flexibility, and high lumen output in any growing environment. 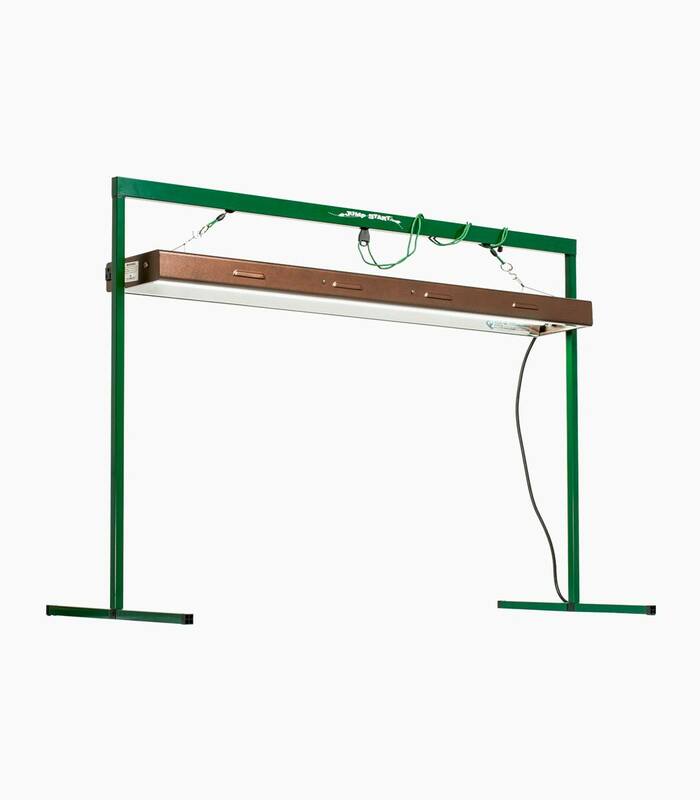 These systems allow you to choose multiple hanging configurations to meet your garden's design. 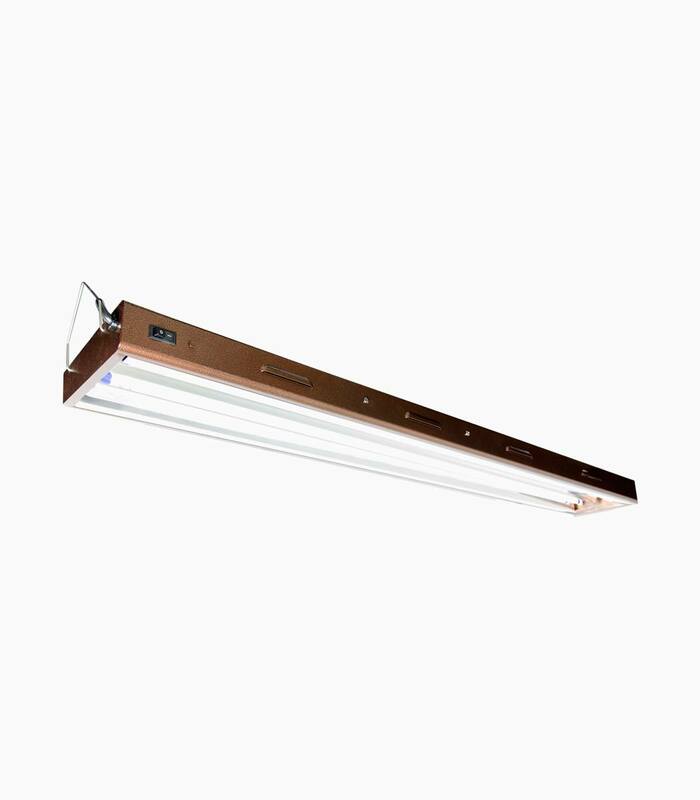 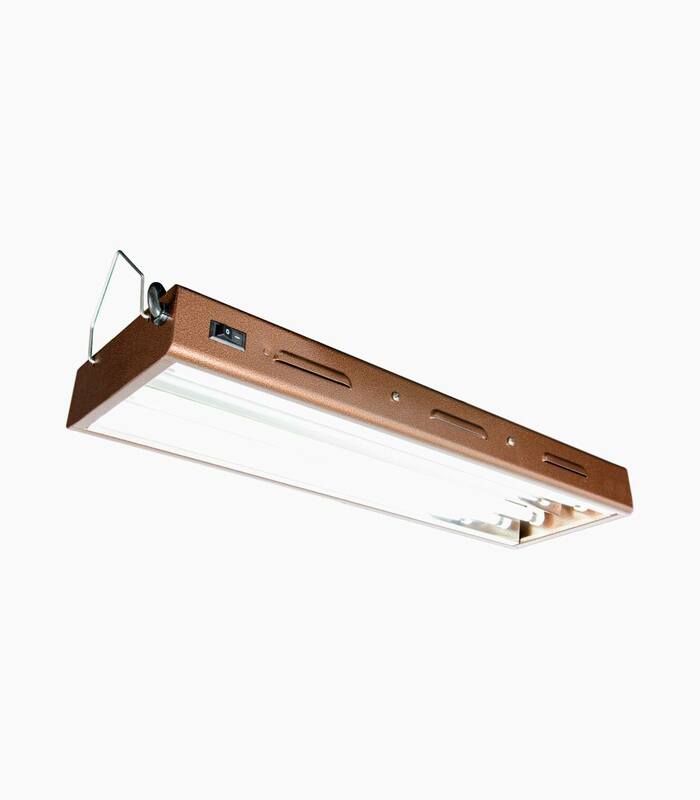 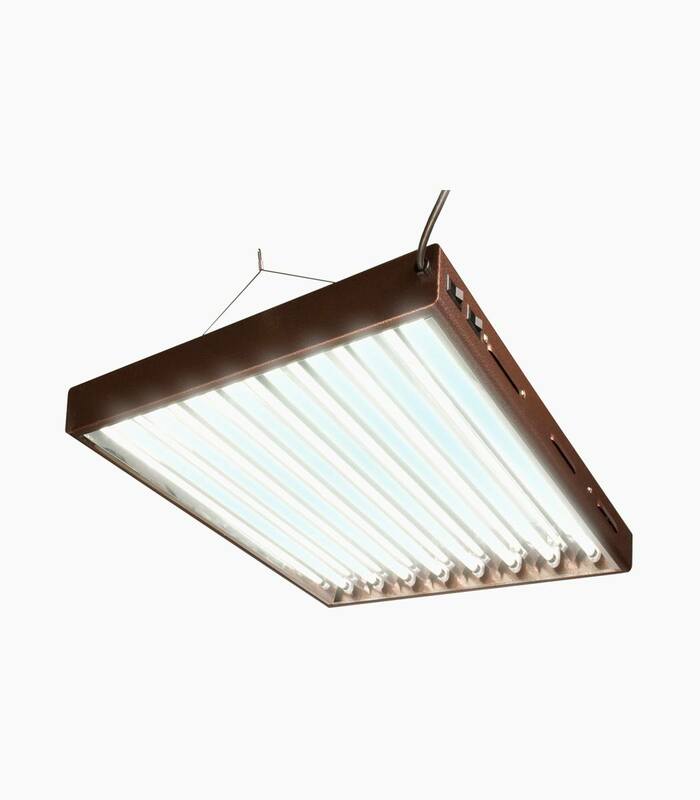 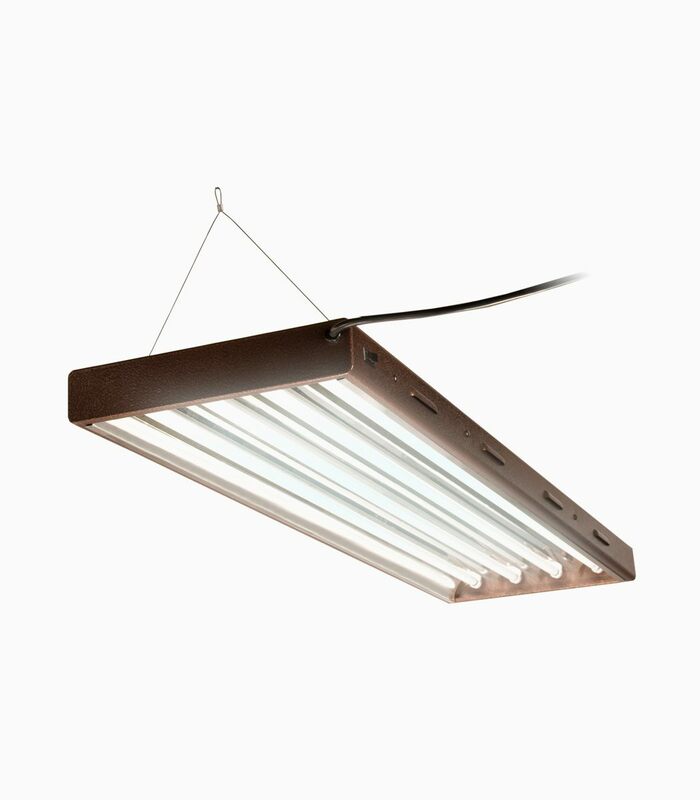 They combine premium grade specular aluminum with energy-efficient/high-output T5 tubes and put out double the light energy of normal fluorescent systems.